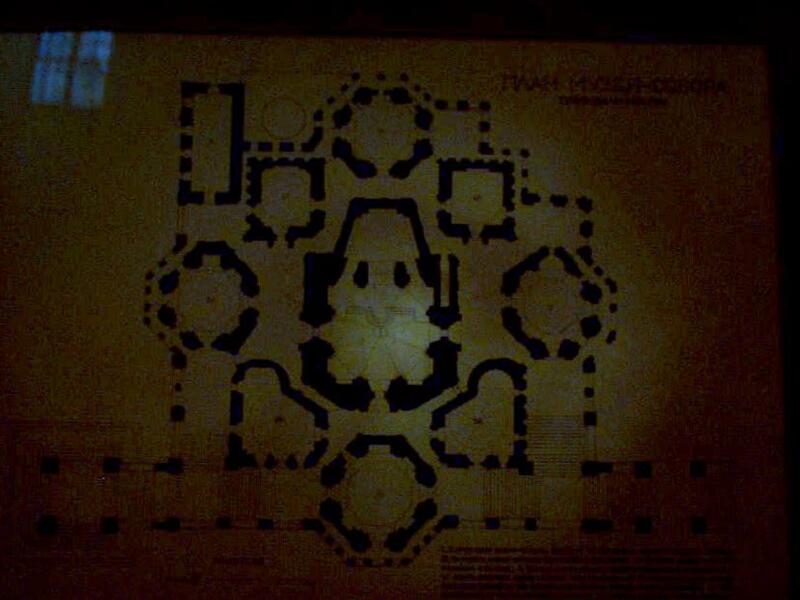 This map gives a general impression of the layout of the Cathedral of Vasily the Blessed. 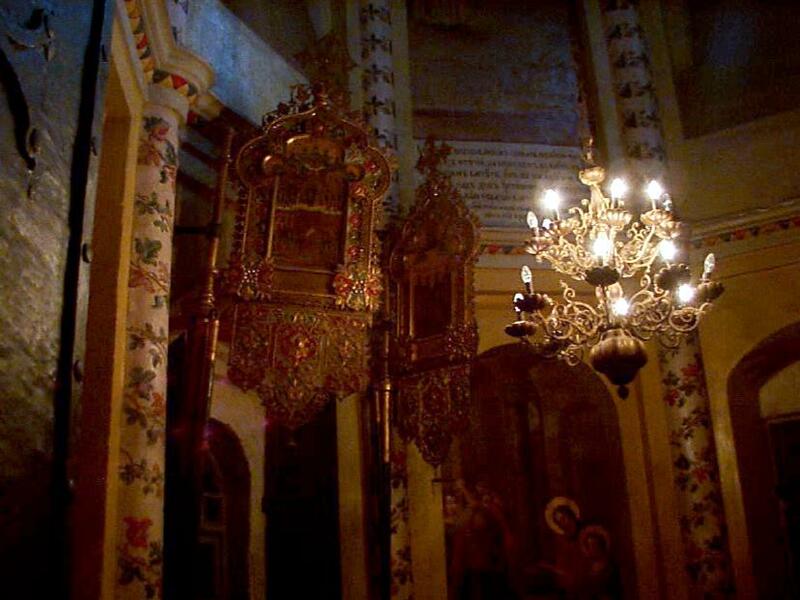 There are eight small chapels encircling the Cathedral of the Intercession. The entrance (opening onto Red Square) is in the bottom left corner. 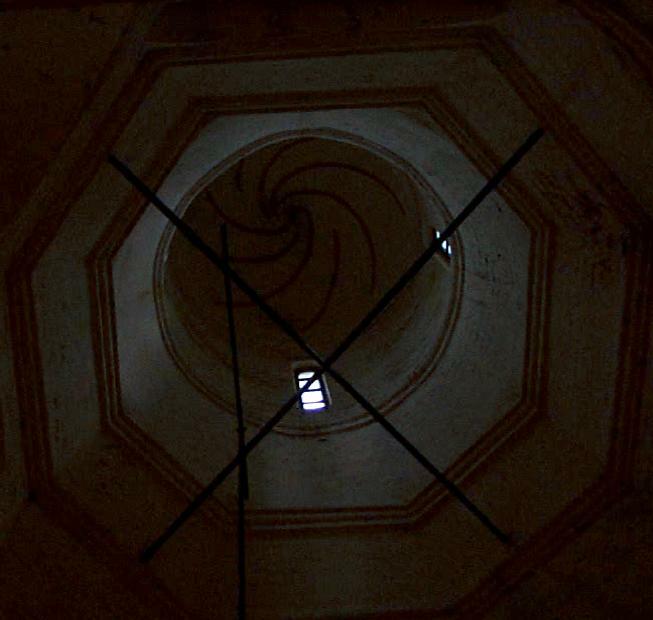 Wandering around inside, we had the impression of being in a maze of twisty little passages all different. It was utterly delightful! 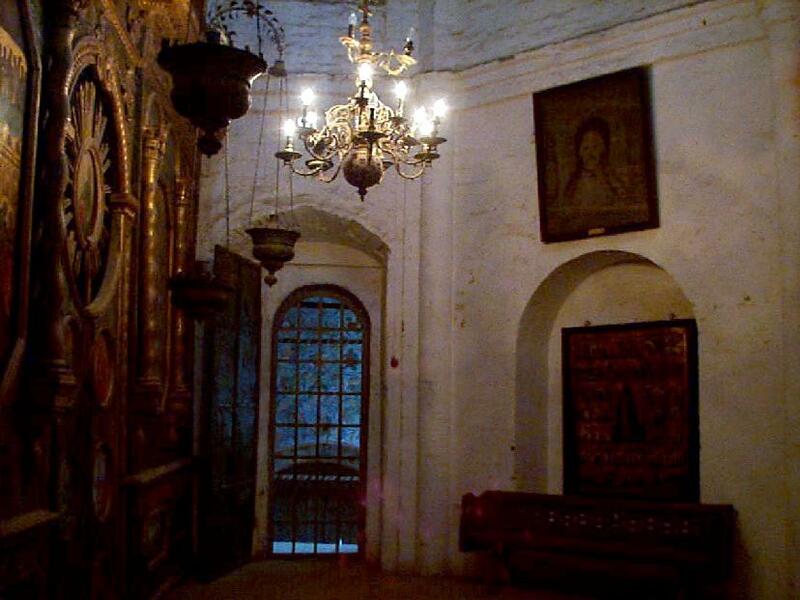 Inside a chapel, possibly the same one, also closed to the public. You can see another entry door barred across the way. A twisty little passage between a chapel (to the left) and the outside wall. 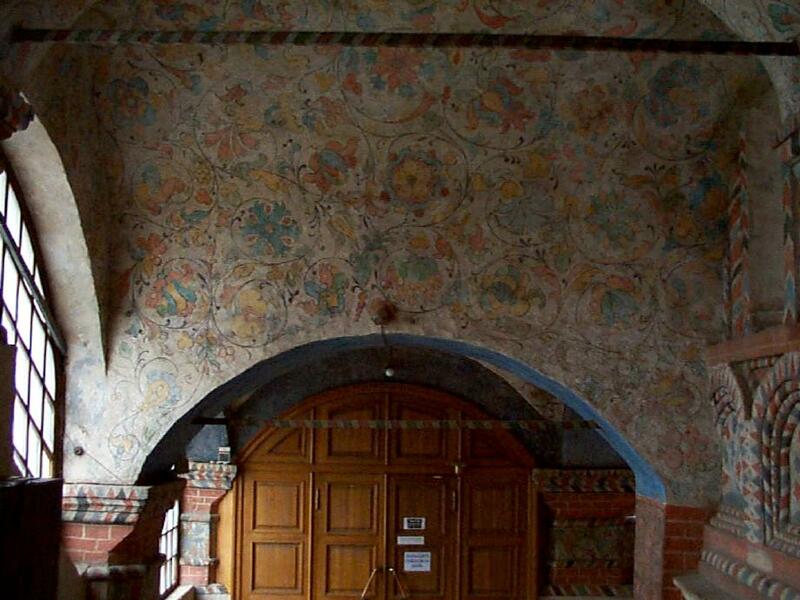 Intricately painted ceiling and walls. The doors in the background are the entrance. I'm not sure if that's Bela or myself, exploring twisty passages. Entrance to another chapel is in the background. Notice diamond design on this part of the ceiling. 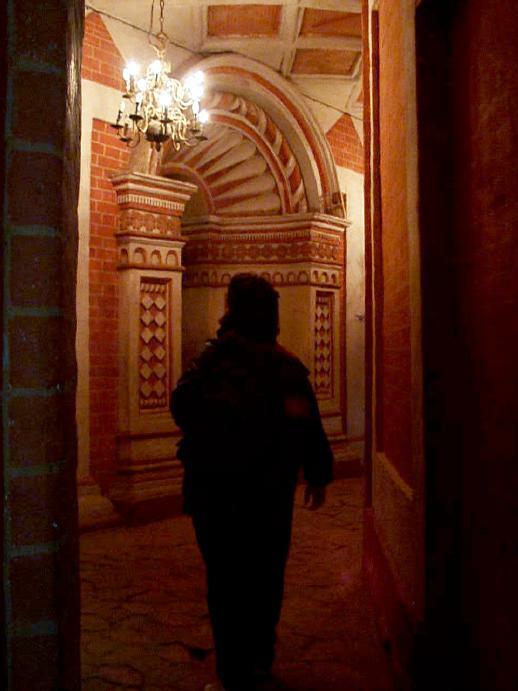 Each section of hallway, as well as each chapel, is entirely unique. 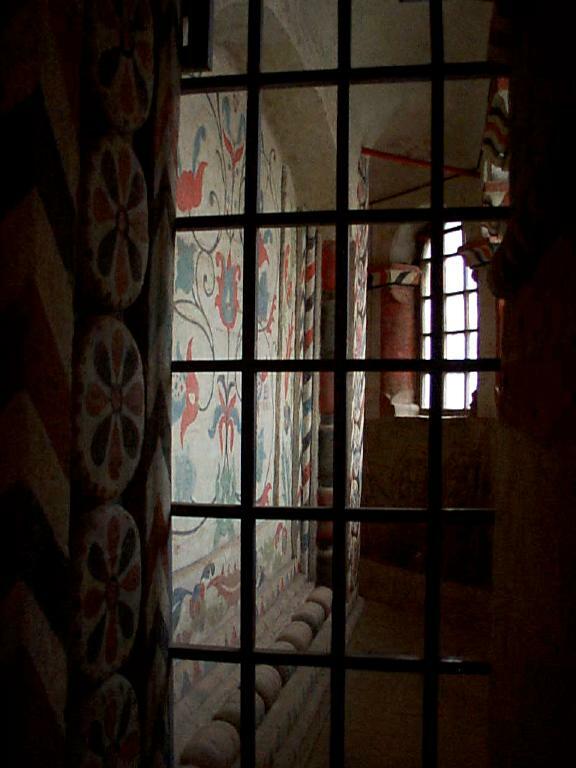 Decorations inside the door of one of the smaller chapels. Icon in the background. 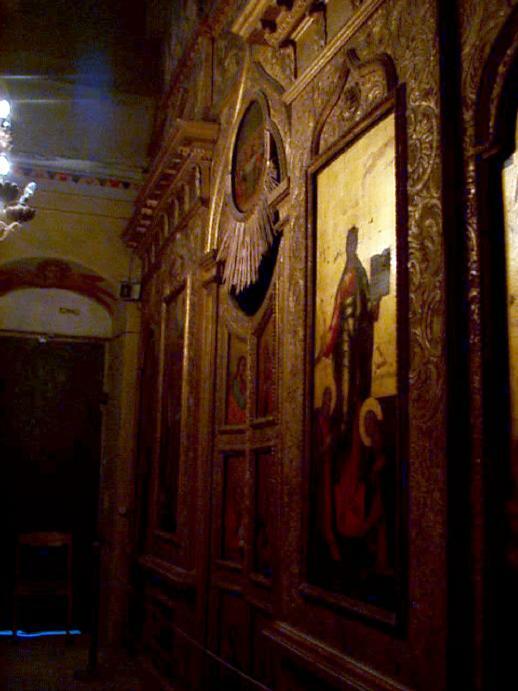 Side view of an icon in another closed chapel.